Fig. 3. 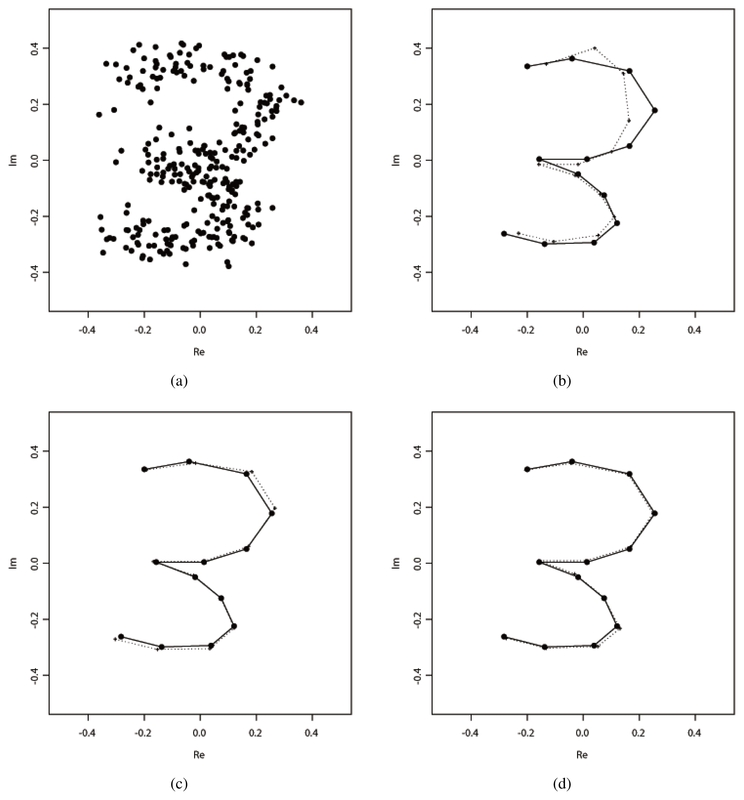 Procrustes mean shapes for 30 handwritten digit 3 data; (a) landmarks for data with 8 object outliers, (b) LS, (c) M, and (d) LMS, where the solid line is Procrustes mean shapes for the data without object outliers and a dotted line is for the data with object outliers. LS = least squares; M = M-estimator; LMS = least median of squares.